Penetration pricing strategy is one in which the company charges a low price, in the beginning, to derive maximum sales volume from the price-sensitive customers. On the contrary, when at the initial stage high prices are charged to the customers, which is gradually decreased to attain maximum profit from less price sensitive customers. Price is among the important components of the marketing mix, which is the firm’s outright source of earning, and it not only covers the cost of production but also contains profit margin. The three major aspects that influence the pricing of a product are cost, consumer demand and competition. For the purpose of entering the market with a new product, the firm’s management has to decide as to which pricing strategy to be adopted between penetration pricing or skimming pricing. The article excerpt explains the difference between penetration pricing and skimming pricing. 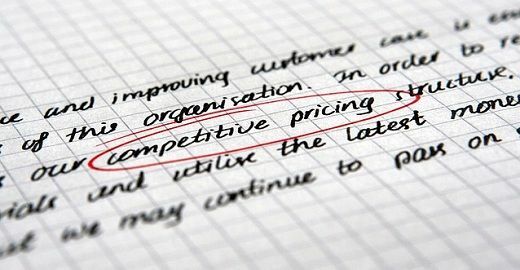 Meaning Penetration Pricing is a pricing technique in which the price set by the firm is low initially, so as to attract more and more customers. Skimming Pricing means a pricing strategy wherein the firm set high price for the product at its introduction stage so as to receive maximum profit. Sales Bulk quantities is sold because of low price. Small quantity is sold due to high price. Penetration Pricing implies a pricing technique in which new product is offered at low price, by adding a nominal markup to its cost of production, to penetrate the market as early as possible. It aims at maximizing the market share of the product, and once it is achieved, i.e. when the demand picks up, the firm can increase the price of the product. New product offered by the firm is already provided by other well-established brands. The low price will lure customers to switch to the new product, who are already familiar with other brands. It can help in increasing sales of the product in short period. It restricts new entrants from entering the market. The pricing strategy in which high markup is charged for the new product, leading to the high price, so as to skim the cream from the market, is known as Skimming Pricing. It entails fixing a high price for the new product before other competitors step into the market. In the early stages, the demand for the product is inelastic, till the product occupies a good position in the market. In the initial phase, the demand for the product is not known, and high price helps in covering the cost of production. In the beginning, there is a huge requirement of capital for producing the product, resulting in high production cost. Further, a huge amount is invested in the promotional activities, that also adds to its cost. When the product is charged high, it will cover the cost of production and promotion expenses easily. Penetration Pricing can be described as a pricing method adopted by the firm to attract more and more customers, in which the product is offered at low price at the early stage. Conversely, skimming pricing is used to mean a pricing technique, in which high price is charged at the beginning to earn maximum profit. Penetration pricing aims at achieving a greater market share, by offering the product at low prices. As against the object of using skimming pricing strategy is to earn maximum profit from the customers, by offering the product at the highest price. Penetration pricing strategy is put into practice when the demand for the product is relatively elastic. On the other hand, skimming pricing is used when the demand for the product is inelastic. In case of penetration pricing, the profit margin is low, whereas, in skimming pricing, the profit margin is very high. As the price of the product is initially low in penetration pricing, huge quantities of product is sold by the firm. As against, due to high price of the product customer demand small quantity of the product, in case of skimming pricing. When a new product enters a market having no to little product differentiation, penetration pricing strategy is used. On the contrary, skimming pricing strategy is when a new product is launched in the market for which there is no competition. Thank you very much for this useful post. I’m learning Principles of Marketing and the reference book is hard to understand with its words. Your explaination makes sense to me a lot.